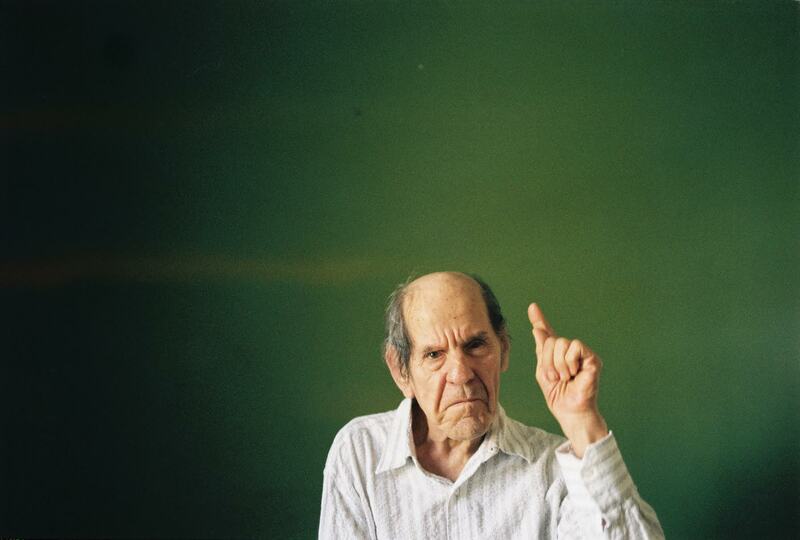 This month we have Mexican photographer, Omar Olvera joining us at ARC. Omar is a lover of film and shoots weddings alongside the street and portraits. He’s spoken at conferences in Argentina, Spain, Colombia and the US (California). A passionate street photographer and volunteer photographer for his local firefighter department, it’s easy to see how 80% of Omar’s photographs are not work related. Omar only books 2 sessions per week so that it doesn’t affect the time Omar spends with his kids. Family is very important to Omar and in this interview, we’re given a great insight into his life and passion for photography. In other news .. ARC is coming to life in the form of a conference called The Experience. Look out for details below and hang out with us and 150 creatives in Vancouver, BC this October 2016. And don’t forget to join our mailing list to stay up to date with all the news and interviews. We hope you enjoy this interview with Omar Olvera. Hi OMAR. Thank you for joining us here at arc! WE’ve been following your work for some time and are stoked that you are part of this interview series with us. Thank you again. can you tell us Where is home for you and where do you work? I live in Reynosa, Mexico, and work in a dedicated space at home. Have you always lived in reysona or was there a conscious choice to move to where you currently live? I have been living here for the past 15 years, close to my parents and brothers, and that motivates me to keep loving this place. It’s a small city with a lot of magic. That’s a good question. As I said before, where I live is a small city, but it’s got places that have allowed me to develop unique things. The climate is semi-arid with little vegetation. At the moment we have safety issues due to the narco wars, but that hasn’t diminished my love for my city. By being in the Mexico-USA border, I have been able to work with the behavior of people migrating from our country, looking for the American dream. That has made me more sensitive and caring. Without a doubt, that has shaped me as a person and of course as a photographer. Let’s say I’m not at the best place, according to the eyes of others, however, I believe God makes good use of us in any place. Currently, aside from my work as a wedding photographer, I was given the opportunity to be our local firefighter department’s volunteer photographer. They call me when there’s a fire, auto accident, or forest fire. That keeps me constantly alert and practicing my skills. When did you know you wanted to be a photographer, omar? My story is is a little strange. About ten years ago, when I was still living with my father, he opened up a business similar to an events center where they would host weddings and quinceañeras and that’s how the need for somebody to take pictures came up. That’s how the family business started, but it was barely five years ago that I discovered there was something else besides just grabbing the camera and taking pictures without feeling it. It suddenly happened, while praying to God to show me if this thing about photography was for me. I got a gift from him that opened my heart and eyes. It was in that instant when I started loving photography, not as a business anymore, but as a lifestyle. In that moment I felt the magic while taking pictures, and every time after discovering more and new things, that I knew I was destined to be a photographer. I have a dedicated space at home that I truly enjoy. There’s been a series of decisions, which later became habits that at the end have been shaping my character. However, in March of 2012, I met someone who revolutionized my mind and my heart, I’m talking about Jesus Christ. Everything else has been a consequence of this first decision. I don’t know any other way to be happy than to do what you love and for what you were created. There’s been dangerous situations where because of my passion for photography I’ve put my life in risk. I was kidnapped once for hours, just because I looked suspicious when doing street photography. In another occasion, my U.S. Border Crossing Card was confiscated because I was caught taking pictures at an international bridge. At the end, thanks to those good or bad decisions, I am where am at right now. I like taking high risks, and when I bet on something I do it betting all or nothing. I know you can’t accomplish your goals if you don’t have faith. A photographer is guided by his own heart, and that’s what we need to take care of. We need to learn how to love ourselves and love our family and friends the same way. My past decisions have me where I am right now, but this is not the end, just the beginning. 1. The above image makes me feel a moment of peace. The most important details for me here are the harmony between her nose and lips. The posture of her hands show tranquility. The gray tones of her dress gives a better dimension to the person. The closing of her eyes give the image an air of mystery. 2. This image I took while on a trip to the south of Mexico. I found this tree trunk that I thought its shape looked like an animal, and which somehow was competing with the girl’s personality that is in front of it. Her flying hair gives the image some movement. It draws me to reflection and surrealism. 3. I love multiple exposures, and in this case, it took only two shots to create it. My objective was to show the fusion between our inner self, and our other inner self. 4. This place for me represents life in heaven. The subject in the background is someone on his way to his new home. I love finding places that allow me to bring to reality, worlds that exist only in my imagination. 5. A double exposure that was the coincidence I was looking for. The magic in this image is the clear space on her eye and part of her lips. 6. 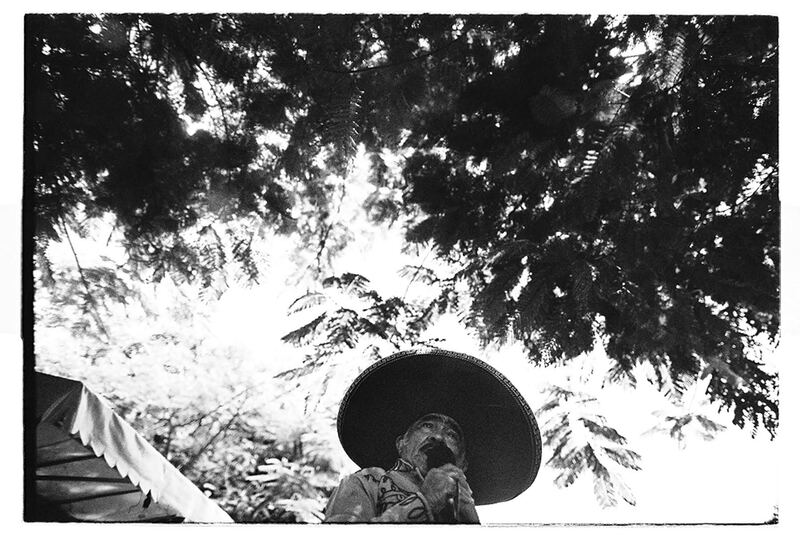 This image represents a small part of my Mexico, where a rancher is a symbol of our culture and our history. I think that in all of my work, my final goal is to give my country something back of what it has given me. 7. Part of my work involves covering weddings, and in this case, by doing a double exposure, I merged two moments creating something magical. The colors give the image something unique and special, while the more important details are found just inside the lenses. It might look like it was taken with a single shot, when in reality there were two taken. 8. Someone working in a risky place. The light coming from above represents for me a blessing, and God’s care towards him. 9. This image I took in the streets in my city. It is that of a homeless person with whom I had a conversation for a while. It caught my attention because of the plush toy he was holding. The lesson I learned is that it doesn’t matter how hard it may seem what we are going through, it is good to smile back at life. Meeting people inspires me. I like to observe them, study their movements, and decipher their thoughts. I admire just a few people, my parents among them, who inserted in me the basic values and principles to live wisely. It inspires me to know myself a little bit more, to enjoy a moment of solitude, to discover the work of photographers like Vivian Maier, who have left a legacy and who were able to overcome adversity and followed their dreams without letting their situation stop them. These type of individuals were not looking for fame, they were just enjoying their passion for the art of a good image, they tried to prepare and live in total harmony. It inspires me as well the love so pure from both of my sons. Knowing and hugging them is one of the best blessings God has given me. It inspires the fact that I found the love of my life and that I can love so profound and so freely. This makes me feel blessed and happy. Actually, 80% of my shots are not work related. Just to give an example, street photography has allowed me to grow and develop my creativity every day a little bit more, because it is only by practicing that ideas start flowing, make sense, and become an image. Your camera becomes your faithful and best friend because of special moments you stop in time. I do a lot of personal projects with people that I had barely met. Some of them are my neighbors, and I often I tell them about some of my projects and they trust me to make it happen. I look for those techniques used by those photographers who created excellent images way before I was even born. Using those techniques combined with my vision are those things that have allowed me to develop a little bit more of creativity. Creativity is directly related to the faith we have in ourselves, to know we are able to create something new, giving an additional value to something that already exists. What a great question. I take a deep breath when imagining the moments I have been through this. I think I do the same thing you do when a computer freezes and it won’t let you do anything else and you have to press the reset button. In my case, my reset is to go back to the basics, go back to the beginning, retake my path and back off from my high photographic parameters. I lower my expectations down to zero and remember that what I do is not a contest or competition. When you do something you love so much it is just not work. If I’m doing a session, I take advantage of that space to know the individual I’m working with a little bit more. That allows me get more at ease and not focus in the lack of creativity. At the end I’m convinced that observation is the base for creativity. I begin by observing a little bit more every time, maybe from an angle. I frequently take a ladder to my sessions, because for me that ladder is my wings, the closest to heaven. Other times I lay on the floor and I think that’s the way I would see things if I were a little mouse. I realize there are more possibilities that I hadn’t thought of and that makes my trust come back. If we are referring to an image, I know by observing the details of the frame before taking the shot, I check the exposure and composition, of course all the elements that will be part of my image to make sure everything is in the right place, then I take the shot and know my image is ready. I don’t edit, neither I take anything out nor put anything else in. Remember that the easiest is the most elegant, and for me, an elegant picture is the one that you analyze before shooting, not one that it’s post-produced. Listen to your heart before your mind is involved and frustrate us with ideas from the past, which end up making us afraid. Don’t lose your common sense and work hard in what you know you’re good at. I was working in a personal project in a retirement house when an old man passed away, he gave his last breath, I could have taken that photo, but I didn’t do it for respect. To imagine absurd things and know that almost nobody would dare to do, for example, what would happen if I would take a picture from the top of a tree? It has worked for me to play with objects stuck to my lens to create figures in the image, like a pearl necklace similar to those used by our grandmothers. Try it and you will know I’m right. First and foremost is my personal relation with God. Secondly the love of my life, my fiancé, and third my kids. Not at the moment, but I indeed would like to create an additional business, maybe having some of my images for sale, or putting together a book where we all could share our passion, and contribute something to those like ourselves that would like to gain a little bit more of knowledge. I regularly wake up early between 6:00 or 7:00 a.m. I first thank God for giving me another chance to live that day. Then I go jogging for close to 40 minutes. This helps me relax and also think about new challenges that I would like to take within my photography career. Breakfast time arrives and I go to see my son at his elementary school. I take him his breakfast, which his school allows me, as well as watch him play. I wait until he has finished eating, I give him a kiss, hug him, then I go back to my office (which is also my bedroom). I reply to emails and get ahead by preparing material that I need to deliver related to weddings or photography sessions. Lunch time gets here and I go to pick up my son from his grandparents home. We eat together, I help him with his homework, go to the park for at least an hour, then I come back to work at 6:00 p.m. If I have a photography session, I only book two per week so it won’t affect the time I spend with my kids. I also have a little 1 year old girl that has stole my heart. She’s got big eyes and looks a lot like her mom, which makes her beautiful. I usually work on weddings on Saturdays, and on Sundays I travel 3 hours to see the love of my life, and my little daughter. Of the few things I don’t like doing while working is to reply right away to my clients. I prefer having a schedule divided into 4 phases during the day, in which I use my time to reply to emails, facebook, etc. It happened two years ago. I took a wedding in which I put a lot of effort mainly because it was the type of wedding I normally don’t get to work that often. The bride and groom belonged to a wealthy family, and up to that day, they behaved marvelously and our working relationship was very good. I made the mistake of taking some cameras with plastic lenses that I had only used before in a few shots. At the end, while reviewing our work, the couple complained about some of the pictures that had a lower quality than others, and indeed, they quality was lower in some of the pictures. I couldn’t get a straight quality in all of the images. I learned that in situations that require a lot of seriousness, like a wedding, I must use only my best equipment. If at the end I just want to experiment with toy cameras, I could do that at home, on the street, or in personal projects. What will you be doing (or hope to be doing) 5 / 10 years from now? I’m thinking about publishing some books and hope God would allow me to travel the world hosting workshops for photographers, to allow me to share part of what life has giving me so much, to share my work in some of the main art galleries in Mexico and U.S.A. I picture myself capturing the images of celebrities with new proposals where they could reflect their souls. I would like to open a film developing and scanning business that could operate without me being there. This could generate enough income to invest in more of my dreams. This image shows a girl grabbing a toy. The story is that when I saw this girl, I decided to take the picture of it because to me it was interesting that this girl found this toy between all the garbage, but after I took the photo, the girl put the toy close to me and I could hear music. When I listened to the music it was a preach to God. It’s amazing to me that she was so concentrated in the music and when she put it close to me, it was a God’s message. It appears incredible to me to find God’s messages even between the garbage. Personally I don’t believe in mantras. I think I could be photography director in movies, and I could advise commercial publicity announcements. Without a doubt with my family, my fiancé, and my kids. I would do one last session about them. I love this question. Something I have noticed in general about our society is that every time we care less about the needs of others. We are not capable of helping without expecting something in return. I would like to show with my images that before God’s eyes, every body is the same. It doesn’t matter if you are rich or poor, tall or short, everybody has the possibility of being a blessing to others by willing to serve. I think a lot of us have gone through episodes of low self esteem that stop us from dreaming. I have felt that through some good pictures we are able to bring an individual to a point where he or she gets the real value each of us have. I would like for people to be more conscious about the beauty of being alive, and the greatness of doing acts of kindness and sharing a lot of what we have received. Once I discovered my talent I never lost faith in it. However, it has happened that I have stopped using it at times when I have been through rough times in my life, like when I have fell into depression. The last one and more tough one was a year ago, when I got divorced. It was a hard blow that put my talent to sleep. It was my own decision. Of course I got back to it but it took a lot of work. I know photography is also a therapy, but it just wouldn’t help when I was going through a lot of pain. I’m the type that I won’t take my camera if my heart is not feeling well. I can’t give what is not inside me, that’s why the greatest richness that God has given me is know what love is and enjoy it every day. You can’t give something you don’t have and photography has to be done with love to transmit the same. We only have one opportunity to create a legacy and inspire coming generations. This is not like doing a film where we can repeat and re-record the scenes until we get it right. This is real life and it doesn’t allow trial and error. We only have one opportunity to go through life, or just let life go through us. We don’t know which of us would meet again in heaven, if Christ doesn’t come before. It’s allowed for us to fall, but it’s required for us to get up. Remember that in the simplest things is where you can find happiness, which most of the time is very close to us. Fav Music // Share a (Spotify) playlist? I feel that one project that could benefit others is the personal aspect of the life to other people. There is a project of a retirement house in which I worked for five years. When we get to an older age, we start to become forgotten by family, and old people suffer from loneliness. I feel there are a lot of things to think about in those images that call for reflection. THANK YOU SO MUCH FOR YOUR TIME OMAR! I have had the opportunity to watch him do one of his sessions and it is truly amazing the way he immerses himself in his work. He puts so much passion into it that is even funny seeing him throw himself on the floor to take a shot, or hear his yells of happiness when he feels he’s getting excellent images. You can’t really see what he’s seeing until you see the final product. Then you’re left speechless. Just an unbelievable true artist.